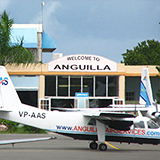 As less experienced Anguilla travellers, we believed that flying direct to the Anguilla airport was the wisest way to get to Anguilla. Somehow, Montreal-JFK, JFK-San Juan, San Juan-Anguilla was the most appealing route down. We would roll out to the airport at 4:00 AM, only to touch down in AXA 18 hours later. It was long, we thought, but it can always be worse, right? Well, it could always be worse. And trust us, we did experience worse (ex., when massive snowfalls in Montreal or New York would push us back a day). Solution? 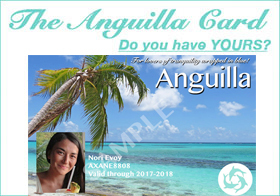 Get To Anguilla Via Ferry or Charter! Sometime around 2005, we discovered the beauty of flying direct to St. Maarten's Princess Juliana Airport! No connections. No snowfalls at those connections. And no Homeland Security. It was bliss! Our day still started at 4:00 AM, but we were in Anguilla by 2:00 PM. Time for the beach! Tranquility Wrapped in Blue By 2pm! And it's not just one company that runs the ferries and charters, there are private charters as well. Calypso, GB Ferries, FunTime, Link Ferry are a few. 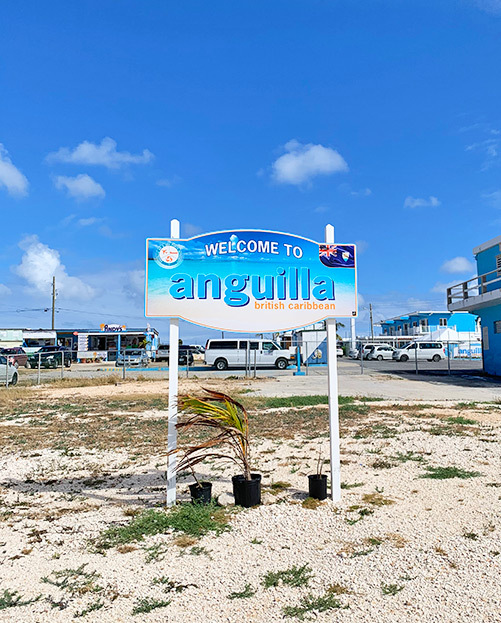 If you prefer, you can also "hop" over to Anguilla from St. Maarten on a quick 8 minute flight aboard Anguilla Air Services. Note: St. Maarten/St. Martin is half Dutch, half French. The Princess Juliana International Airport is located on the Dutch side, with Anguilla's private dock being a 1 minute drive away. 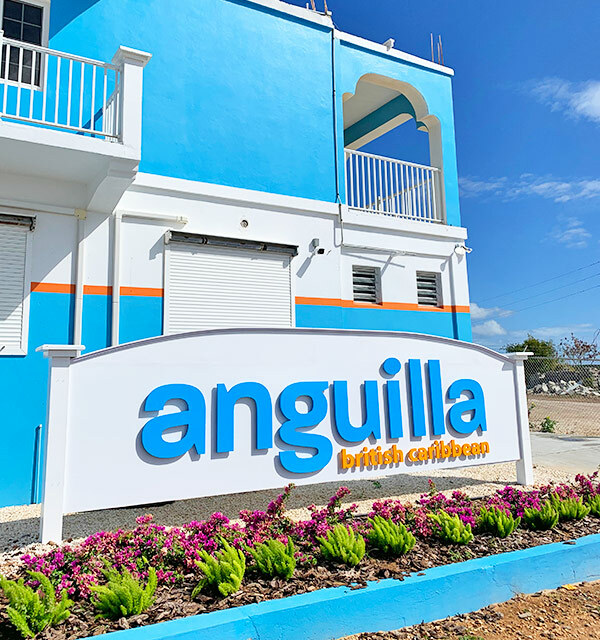 The public ferry to Anguilla (which leaves from Marigot) is on the French side of the island, a 10 minute drive away from Princess Juliana International Airport. The ferry to Anguilla is located on the French side of St. Martin in the port of Marigot. The advantage of taking the ferry is the reduced cost: $5 departure tax + $20 for the ferry. You will have to catch a cab from Princess Juliana Airport to Marigot to catch the Anguilla ferry. This taxi ride costs $20 for 2 people. From Marigot, the ferry to Anguilla departs every 45 minutes. It is very reliable and only a short ride (20 minutes) across the channel. 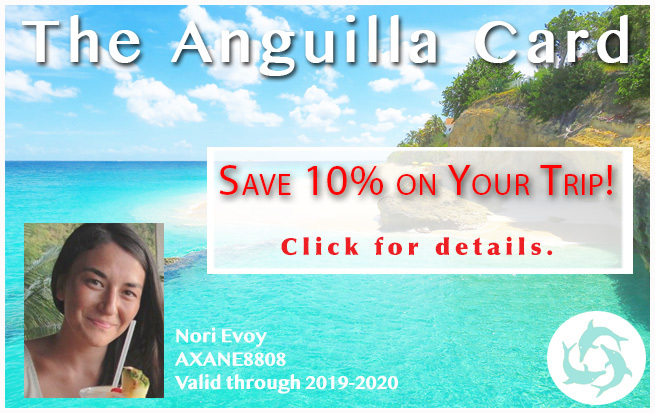 Calypso Charters: 264 584-8504 Calypso is one of the most affordable charter companies and you save 10% more when you use your Anguilla Card to book! Read more on Calypso Charters here. 1) You can book the entire boat for yourself, but it's expensive ($500+). The advantage is that you "own" the boat. The time is set exactly to when you want it. You also get to enjoy a Carib (or two) on the way over! If you don't "go private," you are bound by the boat's set schedule (see option 2). 2) You can call the boat operators (contact info above) and find out their schedules. While these boats offer private charters, they also offer semi-private scheduled charters that leave at a set time. The price is much more affordable (~$50-65 per person). The only drawback to this option is, depending other passengers on your semi-private charter, you may have to wait for their flight to arrive if they're delayed. 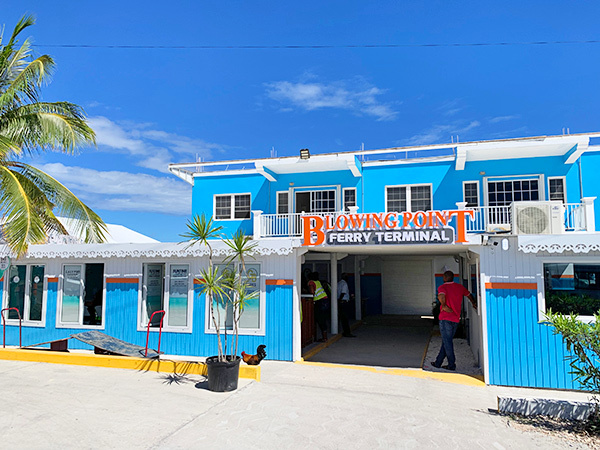 In both cases listed above, your boat operator will meet you inside Princess Juliana Airport (right where you step out of Arrivals) and bring you via taxi to the pier. We often fly to St. Maarten without booking a boat. 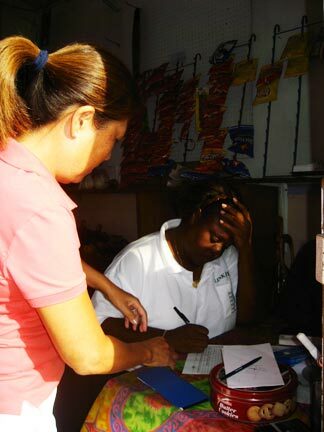 When we arrive, we look for one of the boat reps and ask how soon they leave for Anguilla. If we don't see one (or if no boat leaves for an hour or more), we catch a cab to Marigot for the public ferry. For those who like a "sure thing," call one of the companies above and book ahead. 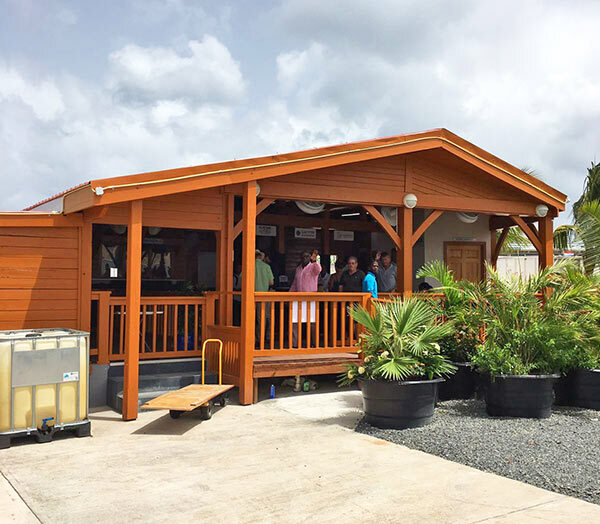 Be sure you understand where they'll meet you at the St. Maarten airport. Finally, some hotels will arrange your boat from the airport. Check with them first when reserving your hotel room. What About Late Night Charters From St. Maarten? Anguilla had a boat that departed St. Maarten at 11:30pm. 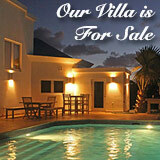 It left through Anguilla's ferry terminal in St. Maarten just 1 minute from Princess Juliana Airport. However, that service was suspended in 2015 and hasn't resumed since. If you are arriving on a flight that lands in St. Maarten beyond 6pm, you will have to overnight in Anguilla. 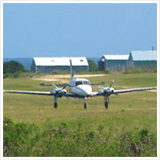 Or, hire a private charter via the charter companies listed above. 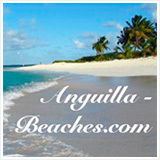 What about when you are leaving Anguilla and returning to St. Martin/St. Maarten? 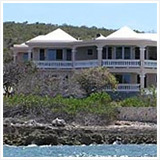 Departure tax varies when leaving Anguilla. Two factors affect cost: 1) if you are going to St. Martin just for the day OR if you are leaving the island permanently, 2) if you are going to St. Martin OR St. Maarten. TIP: The tax can now be paid via Visa and Mastercard. As per the info above, leaving to St. Maarten is more expensive than leaving to St. Martin. The cost, though, is offset by the amount of time saved. The charters arrive at Anguilla's dock in St. Maarten. 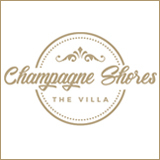 It is just a 1-2 minute drive to Princess Juliana Airport. 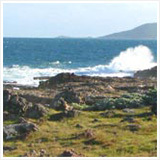 Here, immigration into St. Maarten is speedy and the price of your charter includes ground taxi. It is pre-arranged and waiting for you when you step out of immigration. It takes you from the pier to the airport. The public ferry can be a lengthier process. The lines are longer at immigration in St. Martin and the public ferry terminal is on St. Martin's French side, which is a 10 minute drive to the airport. If time is of the essence, go via the charters to St. Maarten. Be sure to book in advance. 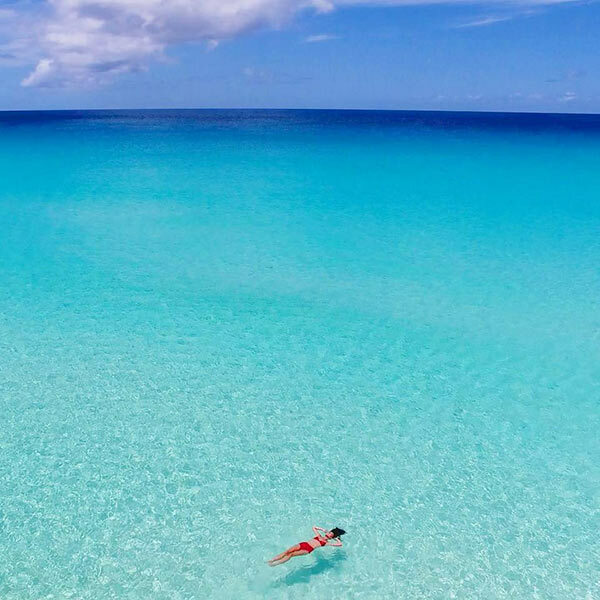 If you have an early morning flight out of Princess Juliana Airport (SXM) and need to leave Anguilla early, your best bet is to hire a private charter. Occasionally, the charter companies will run early morning semi-private boats at a higher price (around $90). For now, though, those services are not in operation. Stay tuned for new early morning schedules. 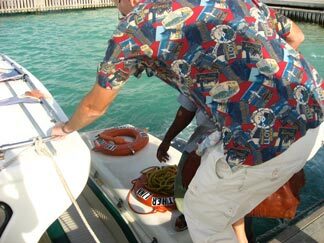 Garfield offers an excellent Anguilla boat tour service. 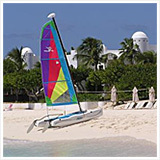 You can do a Caribbean charter to any Anguilla off-island, to St. Barts, and St. Maarten. They do not offer a scheduled water taxi service to and from St. Maarten's airport, but you can arrange for a private charter. Shawn Webster and his late brother Jeff Webster, were our two favorite Captains on Anguilla! We had a wonderful, entire, 'round the island boat tour trip with the brothers. They also used to run an Anguilla (water) taxi service. Sea Grape is now out of the water, but we hope to see Shaun back in the sea soon! Jacquie Ruan and her husband Rollins run this tasty catamaran ride! It is a must try on any (and every) Anguilla vacation. Chris Cutler runs Funtime Charters. They really saved Yuki and my Dad one year during their lost passport fiasco. Oh, Dad! The Anguilla ferry generally inspires sad thoughts of going home, leaving Anguilla, more traveling, flights, connections... But not when you take it for a day trip in St. Martin! Franklyn Connor's family owns the Link boats and operates an efficient business! 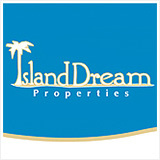 Their boats are clean and comfortable and the staff is most accommodating and helpful. For years, we took "The Link" from Blowing Point, headed for Princess Juliana. This is the same boat Yuki took to school in St. Maarten everyday (during her last year in high school). With this in mind, you know they are reliable and safe, too! Somedays Yuki and her schoolmates got off the boat looking pretty green, but that was only on particularly stormy, rough-sea afternoons. The Link is large enough to deliver a smooth ride to St. Maarten's Dutch side. Inside, the Link is cushy and comfy. The sheltered sides inside are lined with a comfortable bench, but my favorite spot is the bench at the back of the boat! It's more exposed, letting the salt air weave through your hair while you bask in the sun. Once in St. Maarten, Link takes care of all of your luggage and makes sure you are well on your way via taxi to Princess Juliana Airport, only a couple of minutes away. Coming TO Anguilla is just as easy... upon exiting the airport, the kind Link crew is waiting to bring you back to Anguilla. You can reach the people at The Link here: 264 497-3290 or 772-4901/ 582-9163. 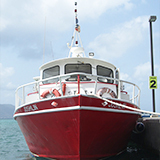 This Anguilla ferry taxis you to and from the Dutch side of St. Maarten with maximum efficiency and minimal cost. Highly recommended.